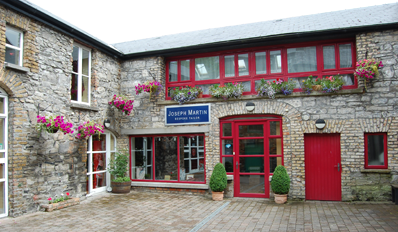 Since 1895 the name Joseph Martin has been synonymous with Ireland's finest bespoke menswear. A bespoke garment is one where every detail including material, style and fit are to the customer's precise requirements. We create unique, handcrafted menswear, in the world's most exclusive materials for those who really appreciate the difference. The philosophy of Joseph Martin is simple: "combine the finest materials with the most experienced tailors to achieve a bespoke garment which lends style, elegance and confidence to those who have the pleasure of wearing it."